Posted February 14th, 2017 & filed under News releases. February 15, 2017 – ClimateLaunchpad kicks off the fourth edition of its successful green business idea competition in Amsterdam, welcoming Serbia, Azerbaijan, France and Germany as new participating countries. With interest from Argentina, India, Kenya and Australia, ClimateLaunchpad is no longer a European affair. Over 35 countries are expected to join the 2017 edition. The competition is set up to help aspiring entrepreneurs grow their green ideas into global businesses. In all participating countries the teams start with a 2-day Boot Camp and six Coaching Sessions to prepare for their National Finals. The top-3 of all competing countries will battle the Grand Final in Cyprus, in October 2017. The competition is now open for applications. ClimateLaunchpad welcomes innovations in renewable energy, energy efficiency, food and agriculture, water, transportation, industrial technology or any other way to tackle climate change. The judging criteria are impact on climate change, business potential and skills within the team. 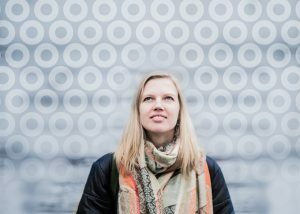 The world’s best ideas win access to Climate-KIC’s renowned Accelerator programme, focused at cleantech commercialization. The overall winner of the Grand Final also receives a cash prize of €10,000, the runner up gets €5,000 and the team that comes in third place wins €2,500. There are also four theme awards participants can win in the categories Urban Transitions, Sustainable Land Use, Sustainable Production Services, & Decision Metrics & Finance. ClimateLaunchpad is part of the Entrepreneurship offerings of Climate-KIC, the EU’s main climate innovation initiative. The competition is supported by over 100 partners from all over Europe. They include companies like Accenture, Benard Schulte Shipmanagement, Deloitte, Ernst & Young, Hellenic Bank, Microsoft, PWC, Sparebank, Volvo and World Wide Fund. 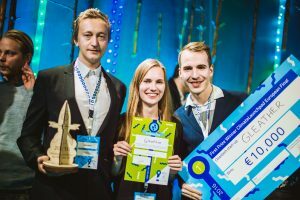 ClimateLaunchpad finalist Reverse Resources won third prize in the 2015 National Final in Estonia and won entry into the Climate-KIC accelerator during our Grand Final. Soon afterwards they landed a €150k grant in the Global Change Award. Currently they’re running pilot projects with famous global fashion brands.